In Peace River we know the value of emergency preparedness – we have witnessed in our Town the forces of nature and the damage they can do. We have also sheltered those and provided comfort to our neighbours during their time of need. 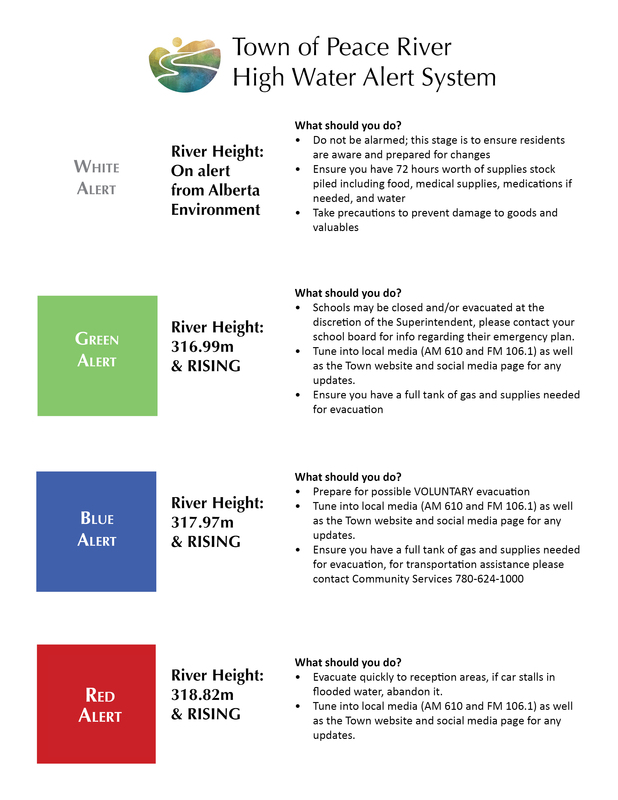 Should an emergency hit Peace River there are many ways for you to be notified. Our website will always contain the most up-to-date official information, residents can subscribe to our RSS feed to receive news. Any important alerts would also be shared through the Town’s social media avenues, Facebook, Twitter and Instagram, as well as local broadcasters including Kix 106.1 FM or River Country 94.9 FM depending on the circumstances we may also utilize the Alberta Emergency Alert system. What happens in an evacuation? You leave your home and the affected area, orderly, and calmly via the most effiecient route out of Town. If an evacuation order is issued it will go out via the Alberta Emergency Alert System, our online sites and social media, as well as local media. That evacuation order will contain explicit instructions on where people should go, if anyone is having issues they would be advised to contact 911 for assistance. Simultaneously the Peace River Fire Department would be going through the neighbourhoods in and around evacuation zones to assist and inform, this is something they train for annually. Town officials would set up an emergency operations centre to coordinate efforts. This photo shows the items we hope to never have to open. 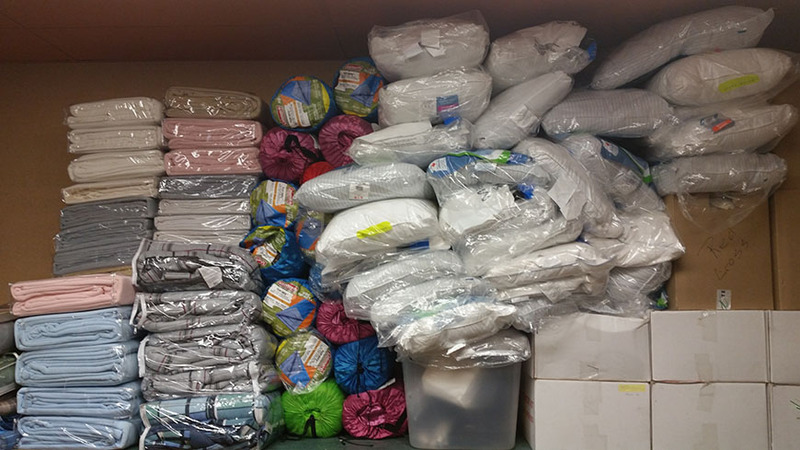 The Town of Peace River keeps a stock of bedding stored in the Town office, along with a number of emergency supplies in the event we ever have to issue an evacuation or open a reception centre. If a reception area needed to be setup, beds, bedding, food and water would be provided. In Town locations like the arena or the ski chalet offer ideal locations. If the evacuation required leaving the valley, arrangements would be made with neighbouring communities. In an evacuation situation, the number one priority is the safety of everyone involved. Food – Non-perishables energy bars, dried foods and canned foods. 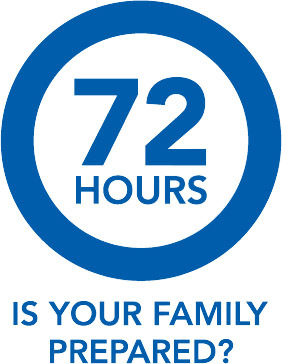 Having a family emergency plan will save time and make real situations less stressful. Take 20 minutes go online the Get Prepared and build your own emergency plan. Two types of emergencies present such a threat that the Town of Peace River has developed or is working on specific alert systems related to those threats. Water and floods are a major concern, in January 2016 high water from the Peace River freeze over threatened to overflow the dikes. While no evacuations were ever issued, the Town did utilize a new alert system to help keep the public and media abreast of the situation. Another common issue is fire. Underscored by the devastation in Fort McMurry in May of 2016, the Town takes wildfire protection seriously. We are currently in the process of an amalgamating the province’s guidelines into our own municipal ones. 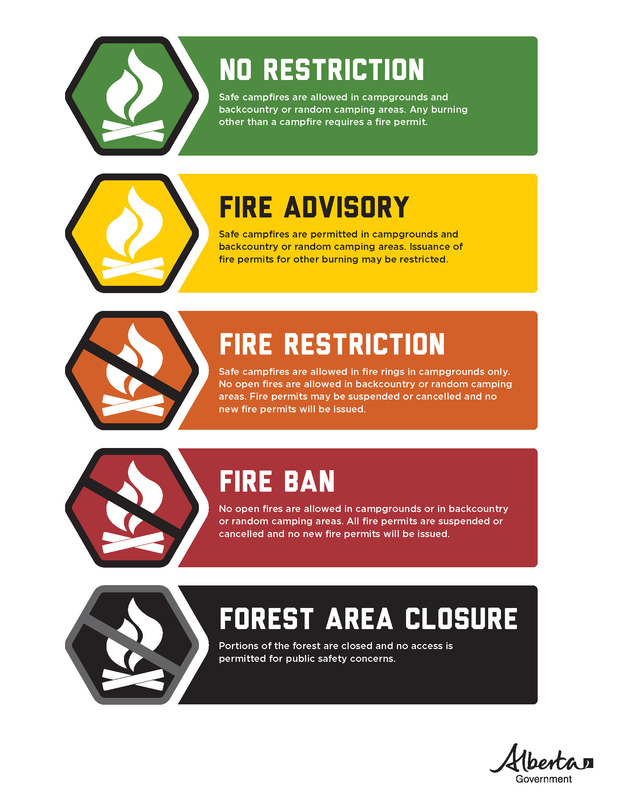 For the time being it is best for residents to familiarize themselves with the Alberta Forestry fire ban system, as it is what the Town of Peace River will base their municipal one off of.